Internet of Things: Powering Smart Homes, Cities and more! Dear members of Big Data Groningen! 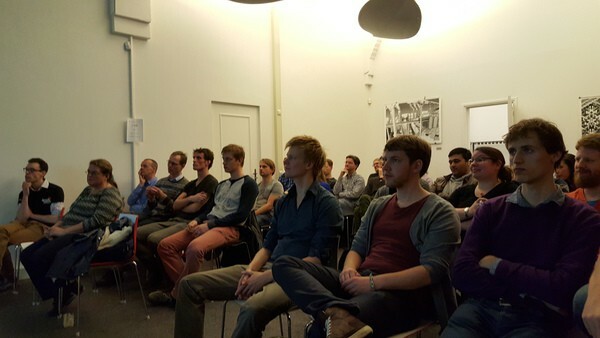 The next edition of the Big Data Groningen meetup will be hosted Thursday the 15th of December at the Launch Cafe. The topic for this edition is Internet of Things: Powering Smart Homes, Cities and more! We are proud to announce that this edition is sponsored by Hewlett-Packard (HP) and their local partner Bossers en Cnossen! Internet of Things, privacy and security. How to handle privacy when every device has one or more sensors? How to take care of security when every device is connected to the internet? More information will be announced shortly.. Stay tuned and see you at the next edition of Big Data Groningen!